30 minute response / max 3 hour pick up transfer UK wide. Timescale unlimited from 48 hours. 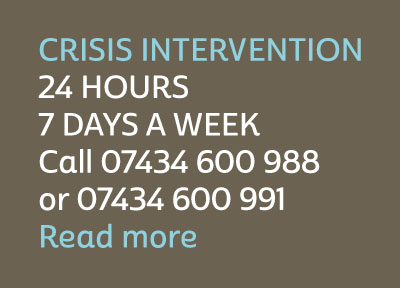 Round the clock support from our highly skilled teams, all trained in crisis intervention to support adults aged 16 – 65 with complex needs, learning disability, mental health, dual diagnosis, challenging behaviour, release from custody, restrictions, community treatment orders (CTO) section 117, forensic history. Immediate assessment and risk management plans on request.